Spend a remarkable day visiting the Mémorial de Caen museum and exploring historic D-Day sites such as Omaha Beach and Pointe du Hoc. 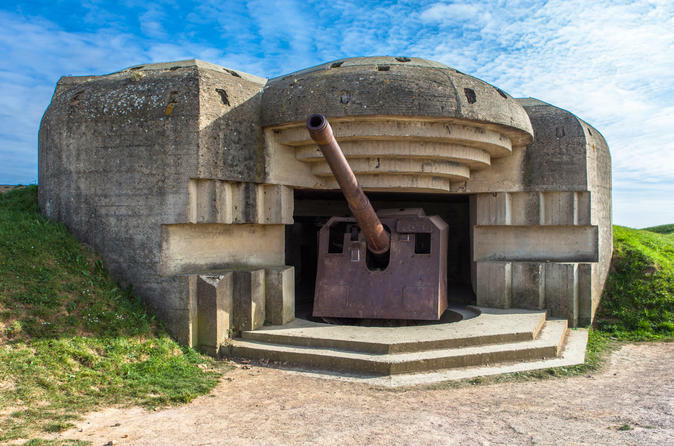 Designed for day-trippers from Paris, this tour departs from Caen railway station and includes a guided visit to Memorial de Caen, lunch and a tour of pivotal D-Day sites. Choose whether you want to see the significant American D-Day sites, or if you’d prefer to visit the key Canadian sites. 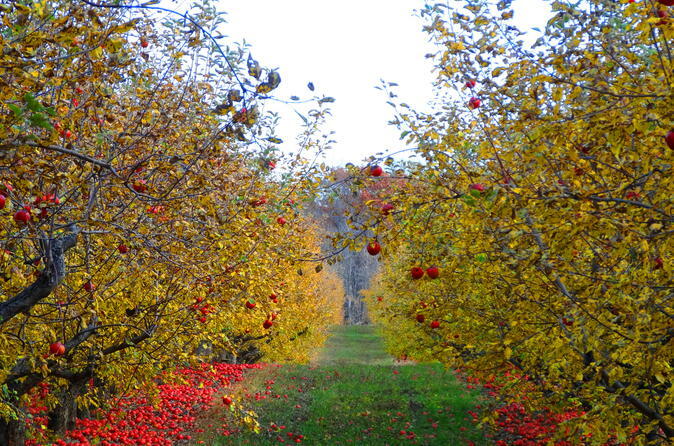 This small-group tour is limited to seven people for the American sites and 15 for Canadian sites. All options ensure personalized attention from the guide. 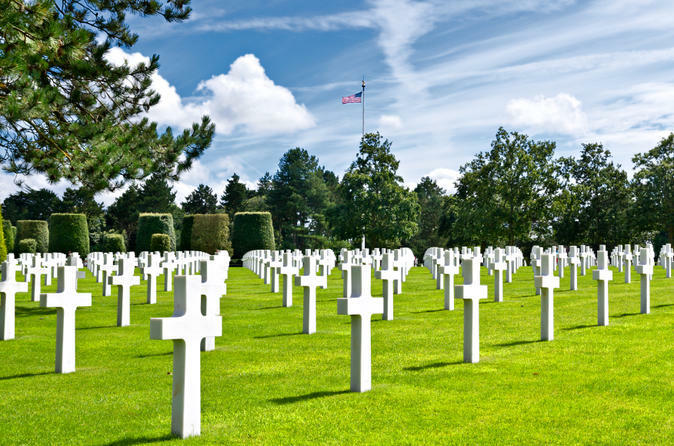 Learn all about World War II and the momentous events of D-Day on this full-day tour. 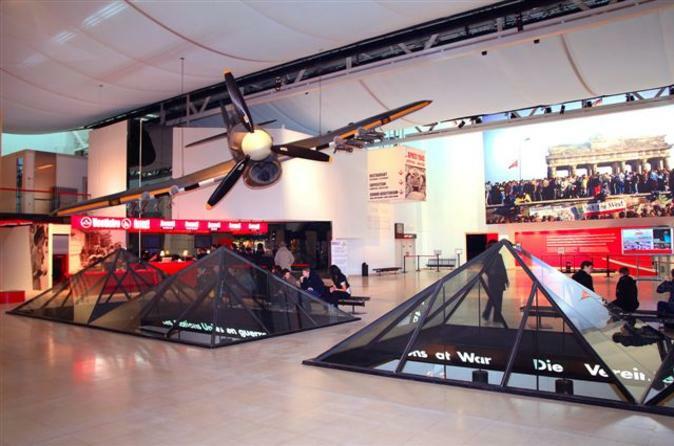 Explore the Mémorial de Caen museum at your leisure with or without an informative audio guide. 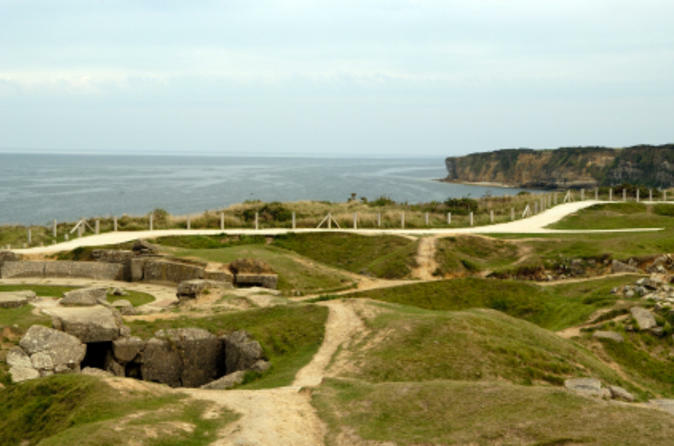 Then, tour historic D-Day sites such as the artificial harbor at Arromanches, Omaha Beach and Pointe du Hoc. Choose whether you want to see a mixture of key American D-Day sites, or if you’d prefer to visit key Canadian sites instead. 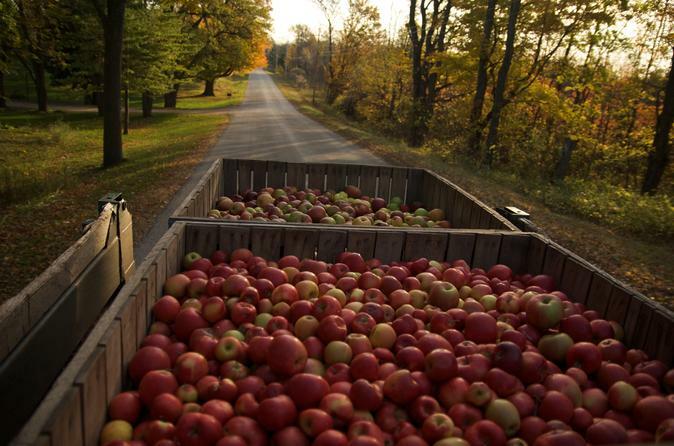 Your American small-group site tour is limited to seven people and the Canadian tours are limited to 15 people. Both options ensure personalized attention from the expert guide. Take a private tour from Caen to Normandy, where you’ll explore sites of the Allied invasion on June 6, 1944 – more famously known as D-Day. You can personalize this private tour to determine how long you spend at the various WWII sites. Your private guide will give you unique insight into the events that took place on the landing beaches and battlefields of Normandy and tell you about the British, American, Canadian and French troops. You can also visit the cemeteries and museums. 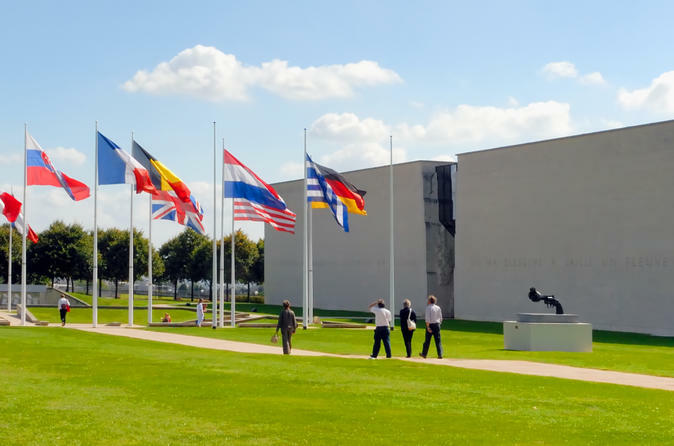 Take an incredibly powerful journey back in time at the Mémorial de Caen, Normandy’s most comprehensive World War II museum. Watch a gripping film on D-Day and learn about the intense preparations for the historic Normandy landings. Covering events ranging from the end of World War I through the fall of the Berlin Wall, the museum puts the events of WWII and D-Day in their larger historical context. Explore the museum at your leisure, with or without an audio guide; your ticket is valid for 24 hours after entry. 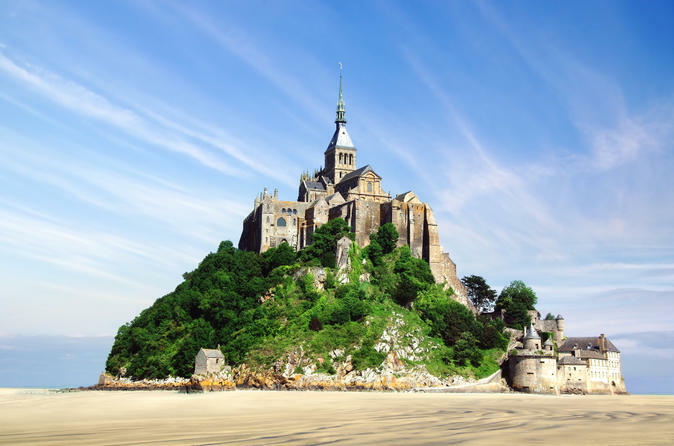 Visit one of the most iconic attractions in France on this private day trip to Mont St-Michel from Caen. Located just off the coast of Normandy, this UNESCO World Heritage-listed Benedictine abbey is a fascinating sight set in a unique location, amid a vast bay. Explore the abbey with your knowledgeable private guide and then enjoy free time to explore the cobblestone village. 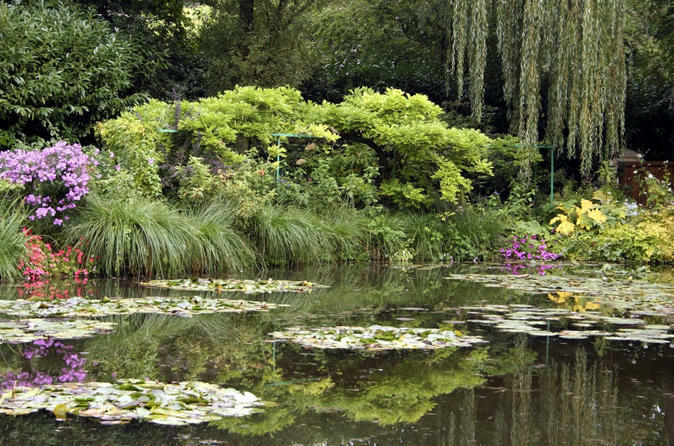 If time permits, you’ll also visit your choice of St-Lô, Balleroy, Avranches, Abbey of Cerisy, Villedieu les Poeles or Bayeux. 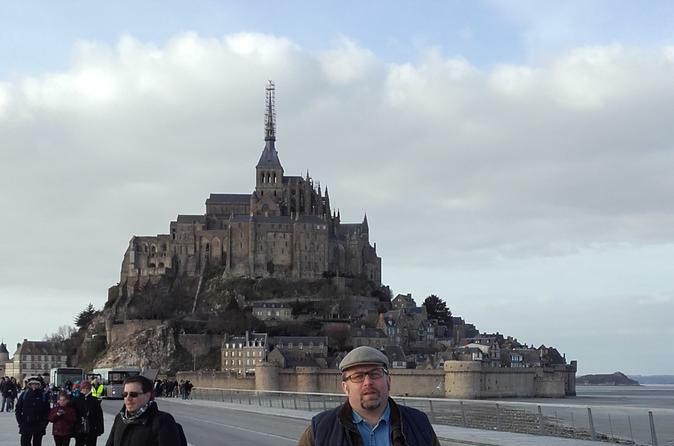 Private Tour in a luxury mini-van with your own guide all day to Mont Saint-Michel. Your guide, a specialist of the marvel of Europe will introduce you to the fantastic history of this wonder. The tour starts from Caen railway station at 8.53am (when the train arrives from Paris) and ends at 6.54pm in time for the train back to Paris. 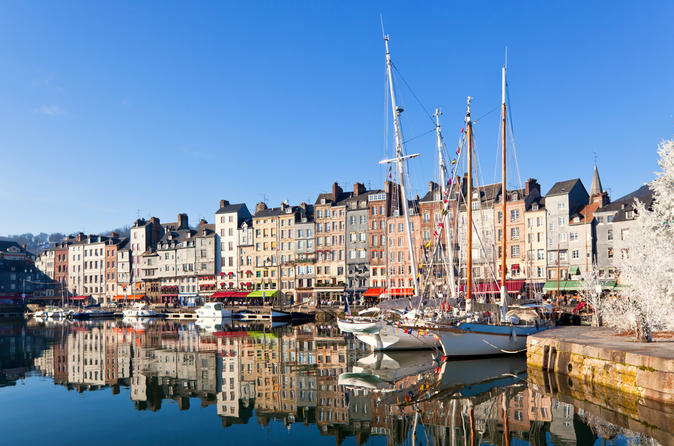 While in port in Le Havre, spend a day exploring the historic Normandy cities of Bayeux and Caen on this private shore excursion. Enjoy expert commentary from your private guide as you walk Bayeux’s medieval streets to Bayeux Cathedral and the Bayeux Tapestry Museum. 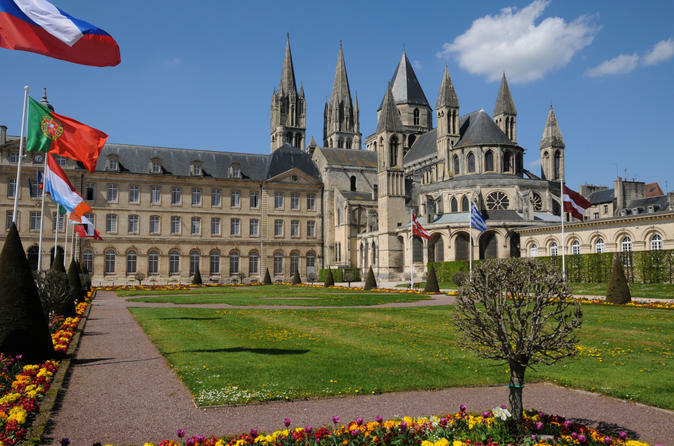 Then, trace the life of William the Conqueror on a tour of Caen, with highlights including his burial site at the Romanesque Abbey of St-Etienne (Men's Abbey) and his palace remains at Château de Caen. As this is a private tour, you can customize the itinerary to your interests, but all entrance fees are at your own expense.